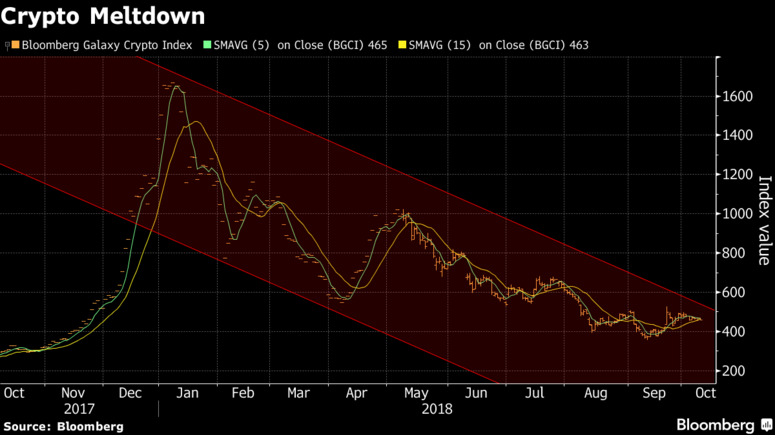 Juniper Research is warning that many of the metrics in the cryptocurrency world are pointing to a market implosion, reports Bloomberg. The market as a whole has contracted quickly as well. In the first quarter, cryptocurrency transactions totaled just over $1.4 trillion, compared with less than $1.7 trillion for 2017 as a whole, Juniper said. However, by the second quarter, transaction values had plummeted by 75 percent, with total market capitalization falling to just under $355 billion, notes Bloomberg. Juniper Research was founded in 2001. The Bitcoin Whitepaper that launched the technology was released on 31 October 2008. For Juniper Research to have any credibility in this space, it would have to have predicted the rise of Bitcoin to have a widely distributed market cap of $114.7 Billion by October 2018, at least earlier than Juniper's 15th anniversary. Here's my prediction: Bitcoin will outlive Juniper Research. The world is two hundred fifty two trillion dollars in debt and they are researching Bitcoin transactions. Bitcoin might go down because every person in the word has to pay the printing press.